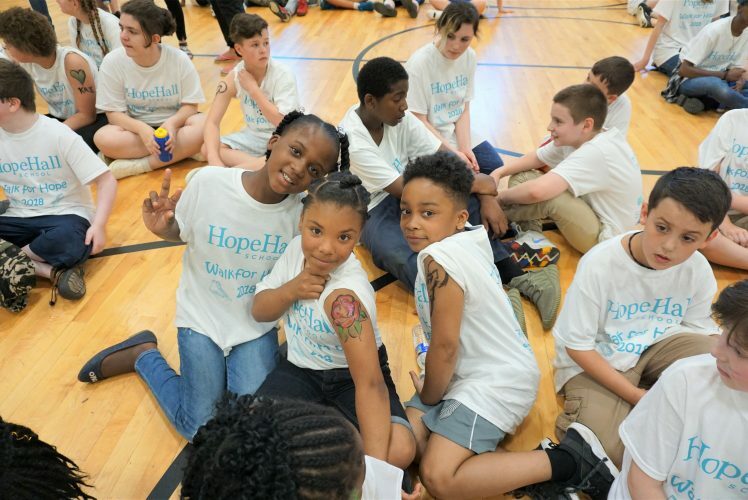 Home /Events / 2018 Walk for Hope Fundraiser – A HUGE Success for Hope Hall School! WOW! Hope Hall School’s Annual Walk for Hope Fundraiser was a HUGE success! Collectively, Hope Hall students, faculty, staff, and supporters raised a total of $36,987 (updated total as of June 1, 2018) for the Walk! This is 23% higher than our overall fundraising goal of $30,000 for this event and 28% more than we have ever raised for the Walk! We have really set our standards very high for next year and we cannot thank you enough for all of your support. Congratulations to our top student fundraisers: 1st Place, Mikayla Metz with $2,430 raised, 2nd Place, Nevin Snyder who raised $970, and 3rd Place, Noah Benhamou who raised $725! We also can’t forget our top faculty/staff fundraisers: 1st Place, Ms. Stacey George with $1,750, Ms. Courtney Nojeim with $330, and Ms. Anne DeMare with $160. Special thank you to our 2018 Walk for Hope sponsors: Alliance Payroll Solutions, Anthony J. Piedimonte Produce, Farming, & Marketing, Inc., The Dolomite Group, Lavoro Group, The Pitti Group Wealth Management, Spoleta Construction Corp., and to Wegmans Lyell Ave. for volunteering and donating all of the food and beverages served during the event! We are so grateful to all of our volunteers, faculty, and staff who put in hours of work to coordinate the Walk field games, activities, and the prize ceremony. Without your help, this event would not be possible. Thank you for supporting this important event for Hope Hall School! Last Chance to Support Hope Hall’s Walk for Hope Fundraiser!